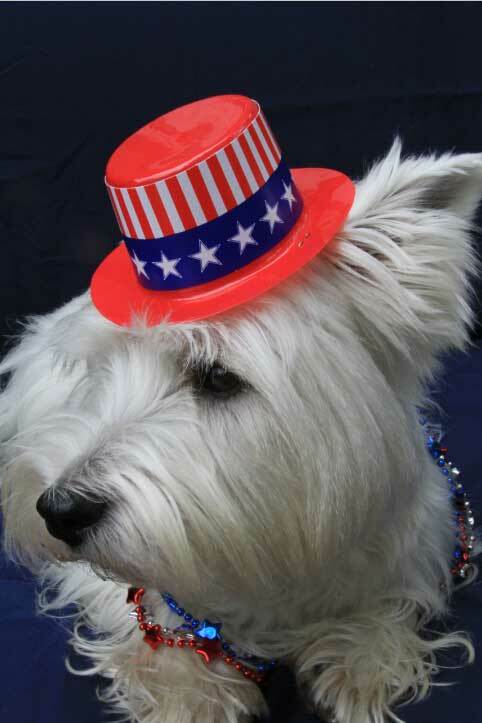 The White Dog Blog: Happy 4th of July, Puppers! Such a good looking pup!! Happy 4th to you & yours...! That's quite a bling outfit you've got going on there. You look very festive. Happy Independence Day! OMD, you look most handsome in your patriotic top hat Duncan!!! Happy 4th, Duncan! We love your hat! Thanks a lot for your wishing.Nice hat and Happy 4th, Duncan!